It would be really nice if every single time you went to activate your new or restored iPhone, everything worked without any flaws, but that’s just not how man-made things work. If you are having issues activating your iPhone after buying a new one, or after restoring your device in iTunes, we have some troubleshooting ideas that you can put to the test to solve the problem once and for all. Why isn’t my iPhone activating? Any time you set up a new or used iPhone, or your own iPhone after you restore it in iTunes, you get the white ‘Hello’ screen that asks you for details about yourself before you can start using it. One of the steps you have to go through is activating the device, and sometimes, this doesn’t go as smoothly as you’d like it to. The activation server is unavailable – this means that the server that checks to make sure your device can be activated is either down or is experiencing a high volume of users at once. This is common during times of iPhone launches when everyone’s trying to activate their device at one time. The SIM card is unsupported – this means you have a SIM card in your device that isn’t made to work with your iPhone. Activation couldn’t be completed – this means some kind of glitch in your internet connection or iPhone itself is causing the problem, and you’ll have to troubleshoot those issues by looking into the things that could possibly have gone wrong. No matter what message you may have received, there are ways to fix them. We’ll talk about them now. Now that you understand why these error messages are occurring, let’s go over some troubleshooting steps you can take to try and get around the errors with activation. Reseat the SIM card – Sometimes reseating the SIM card is necessary. You might see a NO SIM error even though you have a SIM card installed, and that could be because it’s not sitting in the SIM card tray correctly, making it impossible for your iPhone to read it. 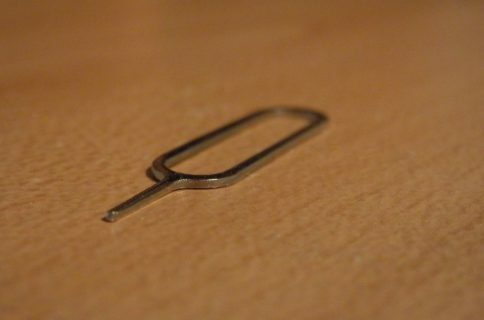 Eject the tray with a paperclip or SIM eject tool, reseat the SIM card on the tray, and re-insert it. 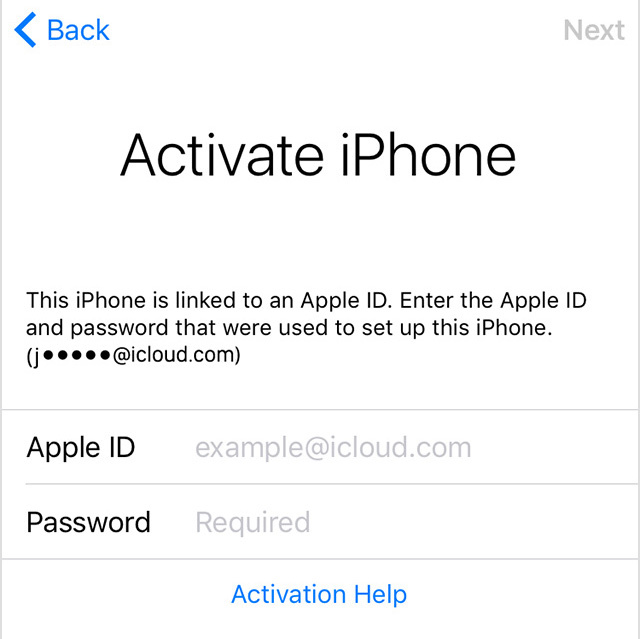 Sign in with your Apple ID – In some cases, you need to sign in with your Apple ID to activate your iPhone. This is because later versions of iOS include a feature called Activation Lock, and it protects your device from being restored and used by someone else in the chance that it’s stolen. Make sure Apple’s activation server is online – As we said earlier, sometimes Apple’s servers get slammed and it can cause high volumes of activation traffic that the servers just can’t handle. In these cases, activation may be slow or non-existent. You can check Apple’s System Status page to see if the activation server is down, and if it is, try again later. Connect to a Wi-Fi network – In some cases, the cellular signal may not be strong enough to activate the iPhone. Since you need an internet connection to reach Apple’s activation servers, you may need to connect to a Wi-Fi network, which should be more reliable. Connect your iPhone to iTunes – If no Wi-Fi networks are around, and you don’t have cellular service, connect to iTunes on a trusted computer and activate your iPhone that way. 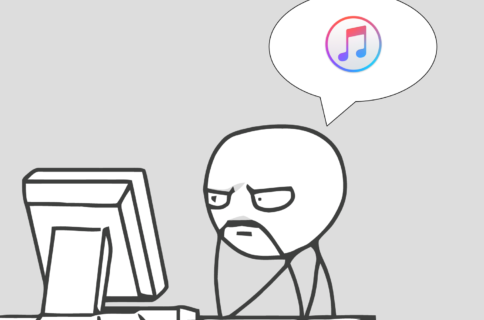 iTunes has an activation mechanism built into it that can reach Apple’s activation servers directly with an internet connection. Make sure iTunes is up to date – If you are using iTunes to activate your iPhone, and it’s not working, ensure you have the latest version installed. Having an outdated version of iTunes could prevent you from activating your iPhone, as some versions of iTunes don’t support the latest iOS devices on the market. Restart the iPhone – Sometimes the problem is a fluke with iOS itself, and restarting your iPhone and starting over can resolve the problem. Restore your iPhone – If you suspect your problem has something to do with your firmware being out of date, you can always restore and update your iPhone to the latest version in iTunes using Recovery Mode. I would only suggest this option if all of the above haven’t worked for you yet. Contact your carrier – It is very possible, and not too uncommon, that the carrier you bought your iPhone from gave you a bad SIM card, or that your SIM card is damaged. Try contacting your carrier to see if you can get a replacement SIM card. You typically have to pay a very small fee to get a new one, but not all carriers charge you for a replacement. Mileage varies. Contact Apple – If absolutely nothing is working, and you swear you’re not an iPhone thief trying to break into a stolen iPhone, you should contact Apple directly. It could be a hardware malfunction in the device itself that is preventing the iPhone from reading the SIM card. Apple may replace the iPhone if you schedule a Genius Bar appointment. Hopefully after going through the checklist of options above, you were able to get your iPhone activated. We understand that it’s a painful process of elimination when it comes to these kinds of problems, but if you take your time and work your way through the possibilities, you should be able to sort things out yourself. Have you ever had issues activating your iPhone? If so, what ended up being the problem for you? Share in the comments!